The White House is preparing to designate Iran’s Revolutionary Guard Corps (IRGC) as a foreign terrorist organization, the Wall Street Journal reported late Friday, citing US officials. Major-General Qassem Soleimani, left, the IRGC Quds force commander. The IRGC is the elite branch of Iran’s armed services founded upon the 1979 Islamic revolution by order of Ayatollah Khomeini and charged by the constitution with safeguarding internal order, and preventing coup attempts and external plotting. Its specialized “Quds” force is the foreign arm of the IRGC, often accused by US and Israeli officials of committing espionage and terror attacks abroad. It handles all clandestine and special forces style operations on foreign soil. According to the report, the Trump administration plans to announce the move as early as Monday, which could be accompanied by an alert going out to all military personnel and foreign service staff abroad warning them of possible retaliation. However, all of Iranian government entities, including the Guard, are already under unprecedented and aggressive sanctions, so it’s unclear just what impact the White House hopes to make; but it certainly will bring Washington and Tehran into more direct conflict. It’s also a move designed to instill greater fear and hesitancy in European and international countries still trying to do business with Iran, given the IRGC actually controls a significant segment of the Iranian economy. 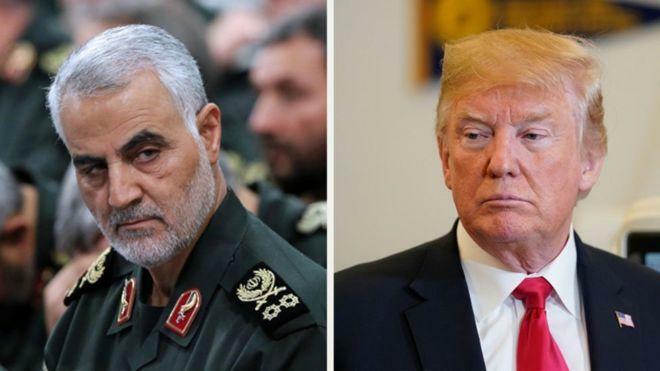 White House officials have in the past speculated IRGC could have its hands in up to half of the total economy, something veteran Iran analysts say is hugely overblown. And crucially, the IRGC being branded a terrorist entity would make it much harder if not near impossible for a future American president to attempt to restore relations with Iran, and would permanently dash any near term or future attempt to renew any semblance of the 2015 nuclear deal.